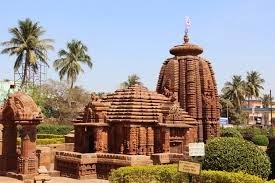 Here is Some Information about Huma Temple in Sambalpur Orissa India. Location: 23 km from Sambalpur Orissa. 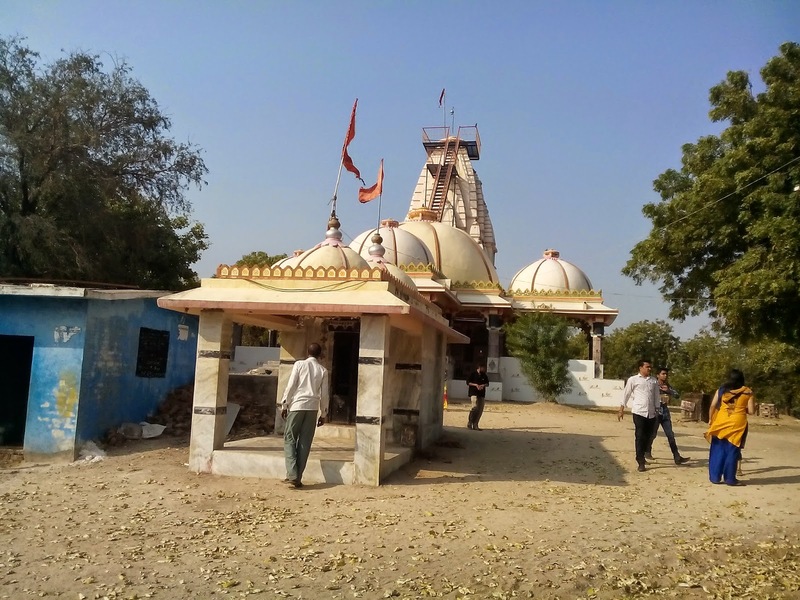 Huma temple, situated near Sambhalpur.This temple was built in 1670, by King Baliar Singh, who was the fifth king of the Chauhan Dynasty of Sambalpur. It is known as a leaning temple because it does not stand upright, but is tilted more towards one side. 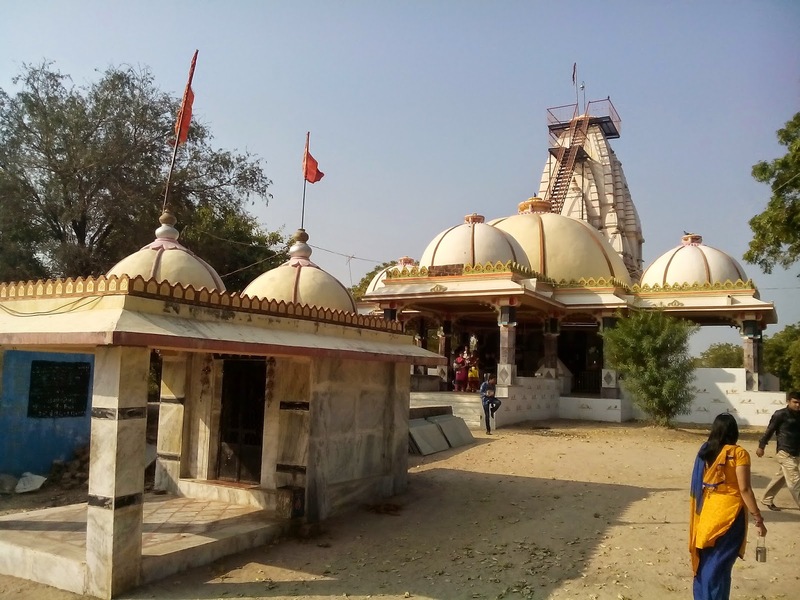 Every item within the temple complex is also skewed.The most fascinating fact about this temple is that the main structure of the temple is leaned at 47 degree to the West. Not only the main temple, infact all the small temples and other structures inside the boundary of the temple, including the wall of the boundaries are in tilted position. 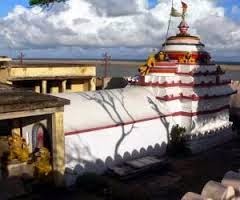 However, no satisfactory answer for this fact has been found till date.Another interesting thing in this temple is a special type of fish called the ‘Kudo Fish’ found in the nearby Mahanadi river. 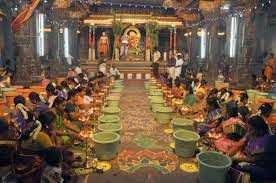 The fishes are so tame that they eat sweets and other foods from the hands of devotees, who bathe close to the temple. It is a place of pilgrimage. Thousands of devotees visit this temple on holy occasions to offer prayer. The temple is dedicated to Lord Shiva, one of the Gods forming the Hindu Trinity. 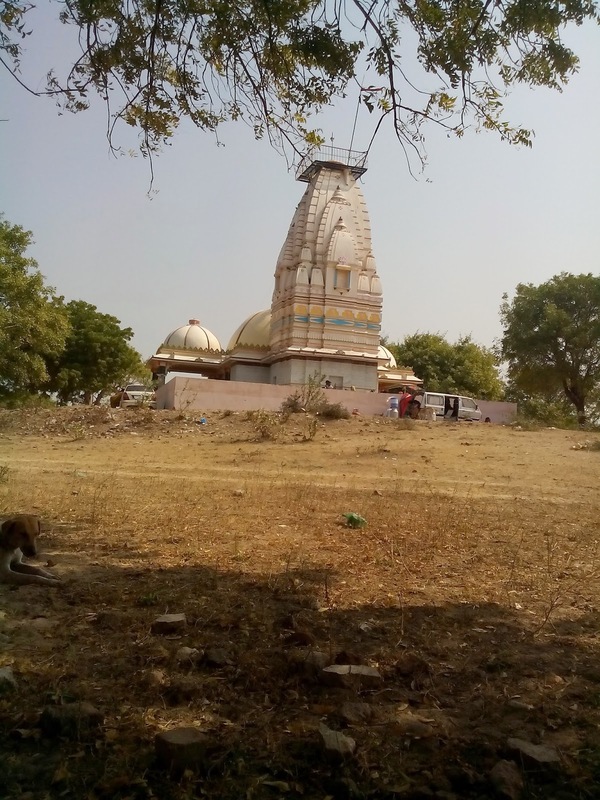 There is an interesting legend behind the construction of the Huma temple. 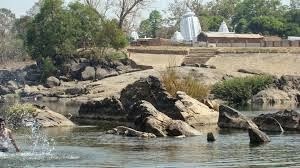 People say that there was a milkman, who used to go across river Mahanadi to worship Lord Shiva. He used to offer milk to the Lord everyday. One day, to his surprise, the rock idol consumed the milk offered by the milkman. This miraculous incident paved way for the construction of temple. During Shivratri, a grand fair takes place at the Huma temple. 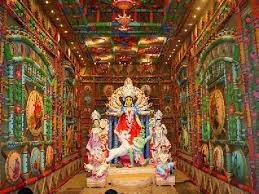 A great fair takes place at the foothill in March every year on the occasion of Shivratri. The presiding diety is Bimaleswar Shiva. 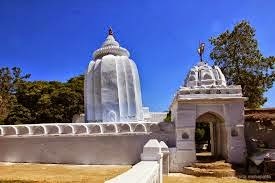 By Road : There are many Buses and taxis are also easily available from Sambalpur for travelling to the neighbouring cities and reach to Huma Templ. By Rail: The Nearest Railway station is Sambalpur station. 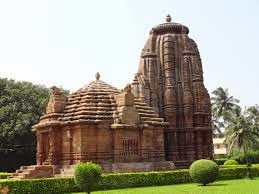 Here is SOme information about Ramachandi Temple in Konark Orissa India. 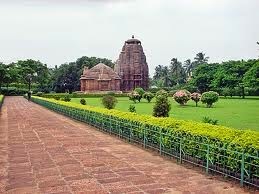 The Ramachandi Temple is 7 kms before Konark on the Marine drive road from Puri to Konark. 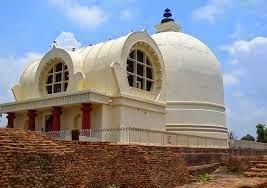 It is located on the shores of Ramchandi Beach near Kusabhadra River. 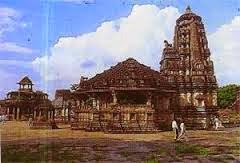 Ramachandi is popularly beleived the presiding deity of Konark, and the most benevolent Chandi known. It is certainly more ancient than the Sun temple at Konark. 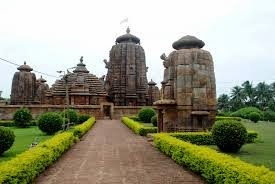 From the architectural point of view, the temple of Ramachandi is not important but from the religious point of view, it is one of the famous Sakta pithas of Puri.Some people are of the opinion that the temple is dedicated to Goddess Ramachandi and this is why it is known as Ramachandi temple. But, there is another section of people who say that the temple is dedicated to Goddesses Mayadevi, the wife of Sun God.To protect the temple, Goddess Ramachandi dressed as a maid servant and asked Kalapahada to wait at the door till she brings water from the river for the Goddess. After a long wait, Kalapahada entered the temple and found the throne empty. He thought that the maid took away the deity, so he followed her in anger. On reaching the bank of the Kushabhadra River, he found Goddess Ramachandi floating in the middle of the river and returned back. According to legend, this temple was built by a priest who had a dream in which, Goddess Ramchandi asked her to build this temple on those shores. 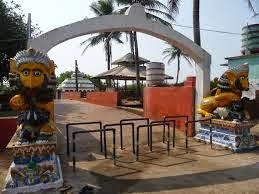 This temple also forms one of the most famous Shakti Peeths of Puri and lies near to the Kanakeshwar Temple of Ramchandi-Beach. This temple is also situated at a short distance of 8 km from the world-famous Sun Temple. By Road: Odisha State operated buses that are easily available from Puri, Konark and other near by places of Orissa to Ramachandi Beach. One can hire private taxi from Bhubaneswar, Cuttack, Konark or Puri to Ramachandi Beach. By Rail: Travellers can also reach at Ramachandi Beach by trains that arrive at Puri Railway Station. This station is located at a distance of near about 78 kms. By Air : The Nearest Airport is Bhubaneswar Airport. Here is Some Information about Gundicha Temple in Puri Orissa India. Location: Northeastern side of the Jagannath temple in Puri Orissa. 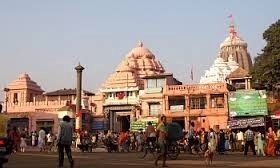 The Gundicha Temple is Located at Northeastern side of the Jagannath temple in Puri Orissa.The temple was built in 16th century.The temple is dedicated Lord Jagannath,Subhadra ane Balabhadra.Gundicha temple is one of the most renowned temples in Puri. 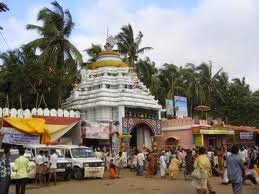 Being another sacred place of Puri, this temple is the key segment of the well known Rath Yatra festival of Puri. 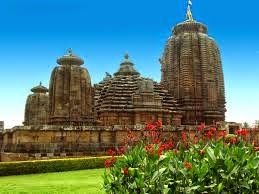 Gundicha Temple is famous as the Garden House of the Hindu God Jagannath. 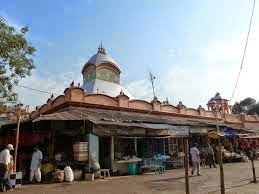 The temple remains vacant most of the year, only during the annual Rath Yatra festival in the Hindu month of Ashadh, the deities Jagannath, Balabhadra, and Subhadra goes to the Gundicha temple and stays there for nine days every year . During Ratha Yatra, Lord Jagannatha, Lord Baladeva and Subhadra Devi, along with Sudarsana, leave Jagannath Mandira for nine days: one day for traveling to Gundicha, seven days spent there, and one day to return home. This Journey is known as to Gundicha Yatra, Nava Dina Yatra (“nine days Journey”), or Ghosa Yatra. It is most auspicious to have darshana of Lord during this time. 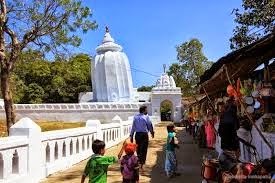 Every year the Rathayatra culminates at this temple which is surrounded by lush gardens and tall cooling coconut trees. Fragrant flowers and shady trees create a Vrindavan atmosphere which Lord Jaganantha enjoys for 7 days before returning to Sri Mandira. 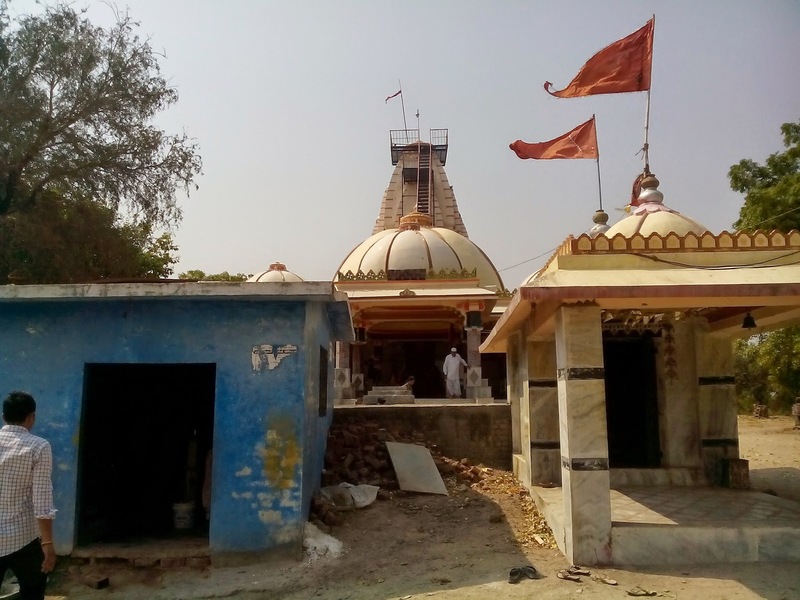 The cleansing of the Gundicha Temple - Gundicha-marjana - takes place the day before the Rathayatra festival as mentioned in Chaitanya-Charitamrita. 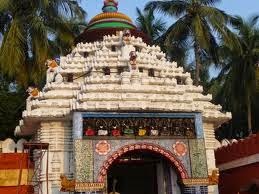 Darshan of Jagannatha during His stay at Gundicha temple is known as Adapa Darshana. 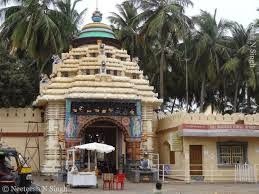 It is said in scripture that darshan of the Lord Jagannatha at Gundicha temple is equal to ten darshan at Nilachala Temple (main temple). The Place where Gundicha temple is situated is known as Sundarachala. Sundarahcala is compared to Vrindavana, and Nilachala, where Jagannatha recides, is compared to Dvaraka. During Ratha Yatra, Lord Jagannatha comes to Vrindavana, as the devotees are in the mood of residents of Vrindavana, begging the Lord to return with them. The Gundicha Temple in Puri, India is really an astonishing place to visit and offer your prayers. Steeped in history, the place gives a true picture of a religious atmosphere and an insight into India's rich cultural heritage. 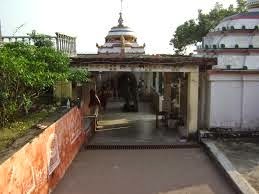 The Gundicha Temple in Puri is also named as the Janak Puri. 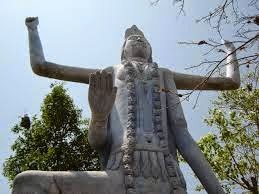 It is said that in Puranic times, King Indradyaumna performed some of the sacrifices and religious rituals. In answer to his prayers lord Jagannath, Balabhadra, Subhadra and Sudarshana descended to the earth and appeared before him at the altar. Every year, when the Car festival begins in Puri, these Gods spend 9 days in the temple before they proceed to their own temple Bada Deula while performing the famlous Bahuda Yatra. By Rail : Puri has its own railway station which connects it to cities such as Kolkata, New Delhi, Ahmedabad and Vishakhapatnam while Bhubaneswar (a 1.5 hour drive from Puri) is also connected to most of the major Indian cities. Rajdhani Express connects Delhi with Bhubaneswar in a 25 hour journey. For more information on train timings and schedule, refer to the official website of Indian railways. 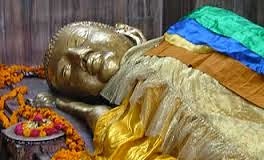 Here is Some information about Nirvana Temple in Kushinagar Uttar Pradesh India. Nearest Air Port: Gorakhpur 44 Kms. The Nirvana Stupa temple is situated to the east of the Mahaparinirvana temple. This huge Stupa was excavated by Carllel in 1867, underneath which was found a copper vessel 2.74 meters high with Brahmi insciptions. 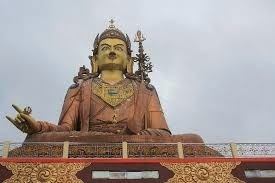 This stupa is of ultimate importance to the Buddhist as it is believed that it contains Buddha's relics.Nirvana Temple is a must visit destination during tour to India. 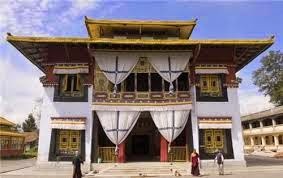 The place evokes emotion for every Buddhist because it is the same temple near which, Buddha died. Nirvana Temple houses a statue of reclining Lord Buddha that is 6 meters long. 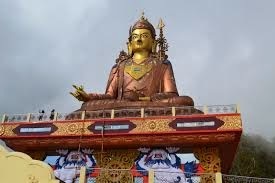 It is believed that this statue represents the very last moments of Lord Buddha i.e. moments before he attained Mahaparinirvana. The sculpture was unearthed during the excavations of 1876. 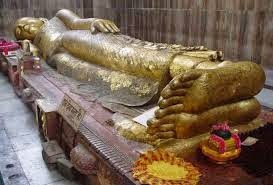 Carved from Chunar sandstone, the statue represents the dying Buddha reclining on his right side. An inscription below dates the statue to the fifth century AD. The temple stands on the same plinth as the Stupa behind it. As mentioned above the ruins of this temple, Carlleyl discovered Nirvana statue inside in 1876. By sinking a vertical trench at the center of its mound he first discovered the great statue in a much-shattered condition lying on a broken pedestal and then he unearthed other ruins. 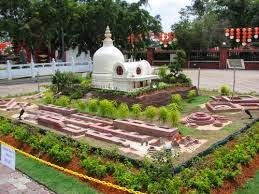 Kushinagar is also known as Kasia or Kusinara. The founder of Buddhism, Lord Buddha passed away at this place near the Hiranyavati River and was cremated at the Ramabhar stupa. It was once a celebrated center of the Malla kingdom. Many of Kushinagar temples, stupas and viharas date back to 230 BC-AD 413. when its prosperity was at the peak. The Mauryan emperor Ashoka added grandeur to this place by getting the magnificent statue of Buddha carved on a single piece of red sandstone. Fa Hien, Huen Tsang, and I-tsing, the three famous Chinese scholar travelers to India, all visited Kushinagar or Kushinagara. 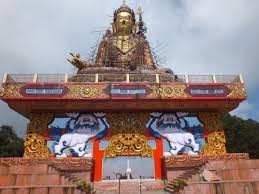 With the decline of Buddhism, however, Kushinagar lost its importance and suffered much neglect. It was only in the last century that Lord Alexander Cunningham excavated many important remnants of the main site such as the Matha Kua and Ramabhar stupa and Kushinagar news made headlines. 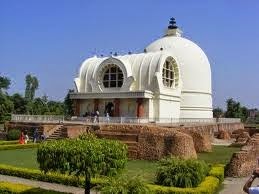 Today, people from all over the world visit Kushinagar. Many national and international societies and groups have established their centers here. 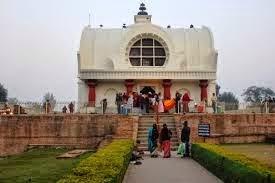 By Road: There are many vehicals available to reach Nirvana Temple Kushinagar .Kushinagar is connected to the rest of the nation through an extensive network of roads. The major travel hubs that are connected to Kushinagar are Gorakhpur (51 km), Sravasti (254 km), Sarnath (266 km) and Agra (680 km). By Train: The Nearest railway station is Gorakhpur 44 Kms. By Air: The Nearest Airport is Gorakhpur Airport 44 Kms. 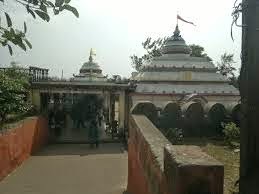 Here is Some Information about Balaram Temple in Kolkata West Bengal India. The Balram Temple is located at Kolkata in Belur Math West bangal.The temple was built in 1922 and made a branch centre in 2002, it was the dwelling place of Sri Balaram Basu, one of the chief lay disciples of Sri Ramakrishna. The place has been sanctified by the numerous visits of Sri Ramakrishna, his disciples, and Holy Mother Sri Sarada Devi. 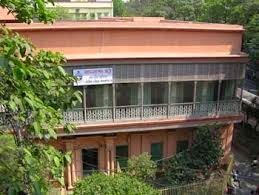 It was here that the Ramakrishna Mission Association was born- Swami Vivekananda held the historic meeting on 1 May 1897 to finalize his plan for founding the Association in the name of his Master. 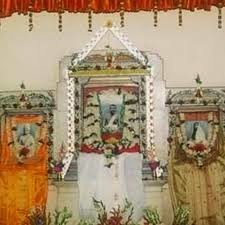 Shyampukur Bati, sanctified by the stay of Sri Ramakrishna, Holy Mother Sri Sarada Devi and the direct disciples, was taken over by Ramakrishna Math and made a sub-centre of Balaram Mandir branch in November 2010. 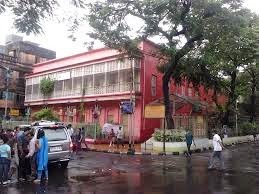 Sri Ramakrishna stayed at Shyampukur Bati for seventy days before moving to Cossipore garden-house. By Road: There are many public and Private Vehicals available to reach Balaram Temple in Kolkata. By Air: The Nearest Airport is Kolkata. 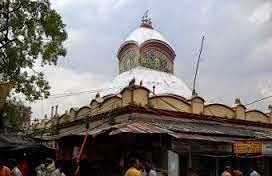 Here is Some Information about shree Aadi Bhootnath Temple in Kolkata West Bengal India. Location: Metropolitan city of Kolkata. 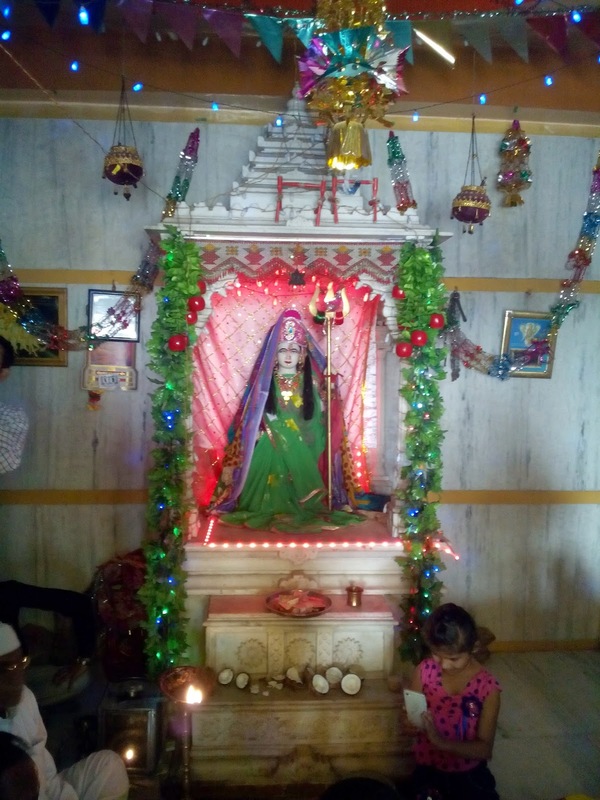 There are shree Aadi Bhootnath Temple is Located in Metropolitan city of Kolkata near grish Park Metro station.The temple is 500 years old.This temple is believed to be of very high religious importance for the Hindus. The temple is located in Beniatola. 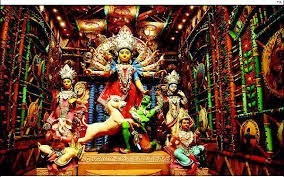 The location of the temple is quite central as it only 1.5 kms away from the Howrah Rail junction and 1.1 kms from the world famous Howrah bridge. 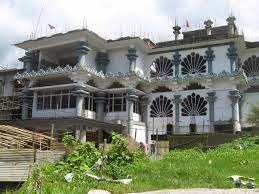 There are many prominent hotels and guest houses located close to the Shree Aadi Bhootnath temple. 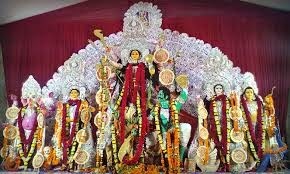 By Road: There are many road Transport available reach to Aadi Bhootnath Temple Kolkata. 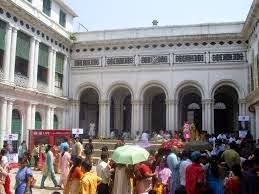 By Train: The Neraest Railway station is Kolkata Railway station. By Air: The Nearest Airport is Kolkata Airport. 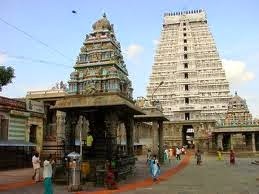 Here is Some Information about Arunachaleshwar Temple in Thiruvannamalai Tamil Nadu India. Significance: Form of Fire taken By Lord Shiva. The Arunachaleshwar Temple is Located in foot of the Arunachala Hill Thiruvannamalai Tamil Nadu state of india.The temple is built in between 1502 to 1529 and built by Vijayanagara ruler Krishna Deva Raya.This temple city is about 80 kilometres away from Katpadi or otherwise known as Vellore. 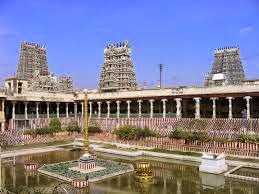 This temple can also reached from Chennai traveling to a distance of about 180 kilometres. Shiva and Parvathi are the two deities that are worshipped here at Arunachaleeswar temple. Shiva is prayed here in the form of Agni. One of the panchaboothas that is used as an element to incarnate this earth or universe.It is significant to the Hindu sect of Saivism as one of the temples associated with the five elements, the Pancha Bhoota Stalas, and specifically the element of fire, or Agni. Shiva is worshiped as Annamalaiyar or Arunachaleswarar, and is represented by the lingam, with his idol referred to as Agni lingam. His consort Parvati is depicted as Unnamulai Amman. The presiding deity is revered in the 7th century Tamil Saiva canonical work, the Tevaram, written by Tamil saint poets known as the nayanars and classified as Paadal Petra Sthalam. The 9th century Saiva saint poet Manikkavasagar composed the Tiruvempaavai here. The Arunachaleswara Temple has a 60m or 13 storied high sculptured gopurams. There are in total 9 gopurams of which four are in the middle of the walls. The larger one or the big tower is called by the name of Raja gopuram. Thirumanjuna gopuram and pey Gopuram are to the north and south of the temple. The outer corridor has a granite wall that links the entrance gopurams. The massive wall is about 30 ft high. On entering the temple from the east, there is the Thousand pillar hall built by Chola king Krishna Deva Raya. The exactly 1000 pillars are inscripted with the sculptures of the Naik period. The mandapam where the deity is placed and worshiped is known as the Ani Thirumanjaram. The sacred tank or pool of ShivaGanga is towards the south of the Kambathu iiayanar mandapam with enclosed corridor. The tank is used for the purification and ablution of the Deities in the temple. The water to the tank was provided by digging a canal called Thirumalaiamman Devi Samundram. The third mandapa has 16 pillars and it is from this mandapa that the Pancha Murthis or the five deities give darshan on the day of Kartigai. The sanctum is reached by the main entrance in the east. Within the sanctum Lord Shiva personified as Annamalaiyar is present in Linga form . The Rudra baga is covered with gold plate. There is the Devi shrine to the opposite of the Mandapa. 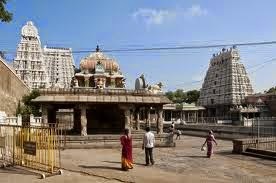 By Road: The bus stand here is just 2 kms near to the temple. Many people arrive by bus to the temple. The Triruvalluvar Transport Corporation buses run here regularly to places like Tirupati, Chennai, and Kanchipuram. By Rail: The train station is in the line between Madurai and Tirupati. Metro gauge trains operate between Vellore and Triruvanamalai. By Air: Triruvanamalai is over 100 km south of Kanchipuram and 185km to Madras. From Madras there are international flights to important destinations around the world.